Creativity leaves its mark. Give your young artist free rein with the Giotto Be-bè Super finger paints! 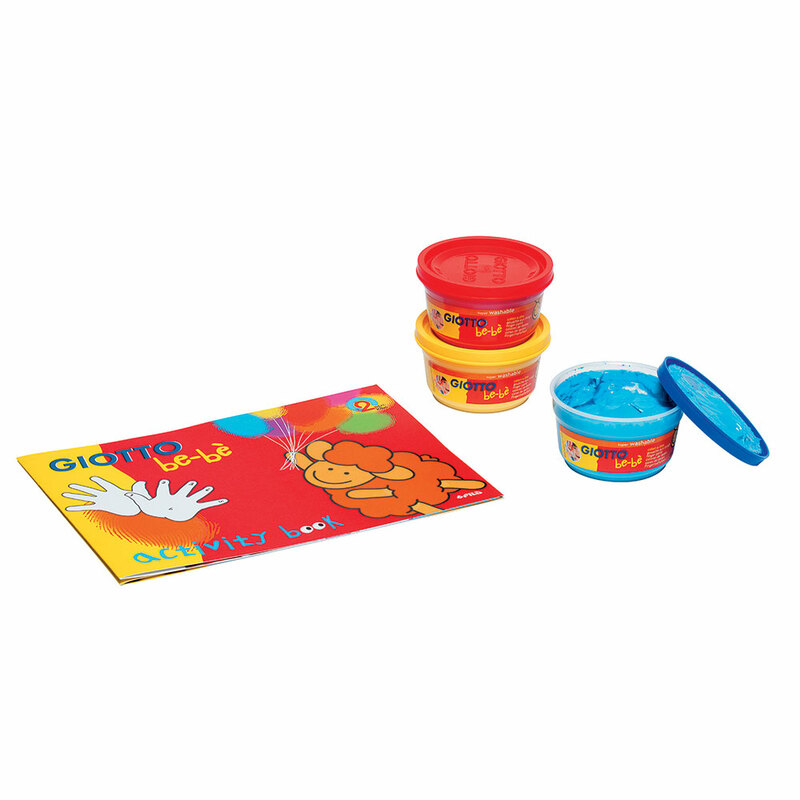 These finger paints are ideal for very young children. 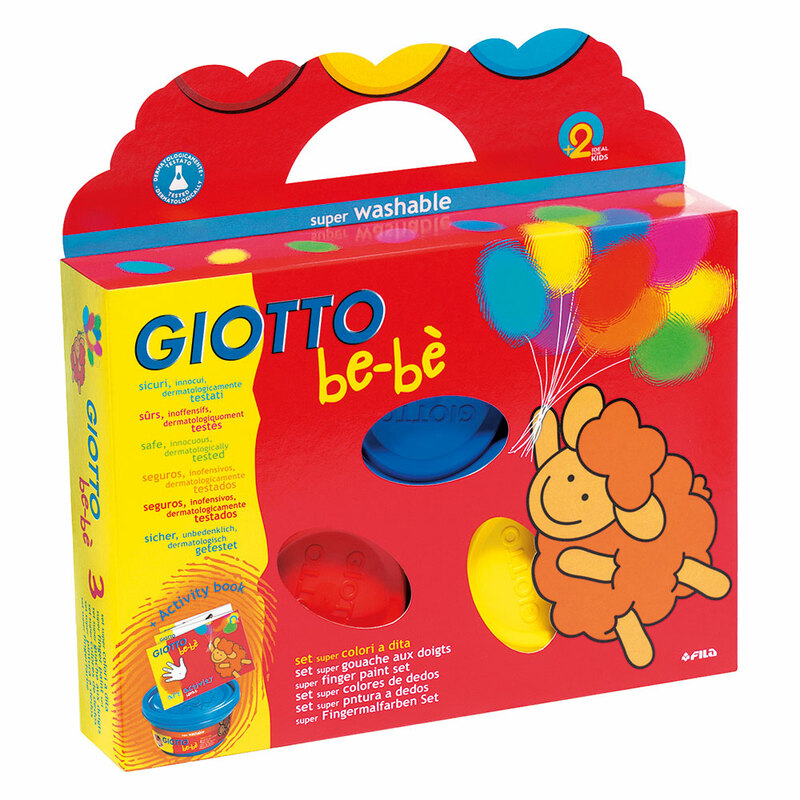 This set includes a bright and lively selection of colours which are easy and safe to use and have been dermatologically tested. 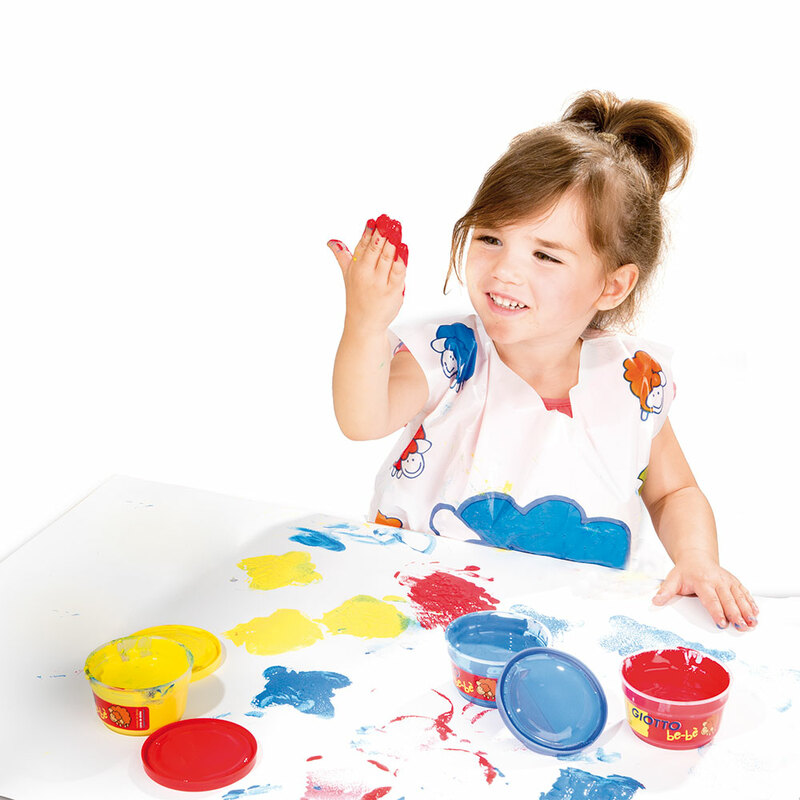 Rigorously tested to guarantee total suitability for children under 3 years, these paints are safe, dermatologically tested and can be washed off the skin with warm water. Each box contains everything you need to free your imagination: paints, sponges, activity book and a practical apron. The sponges have been specially designed to prevent crumbling or accidental swallowing. Wash off skin with warm water. Sponge and child's painting smock included.